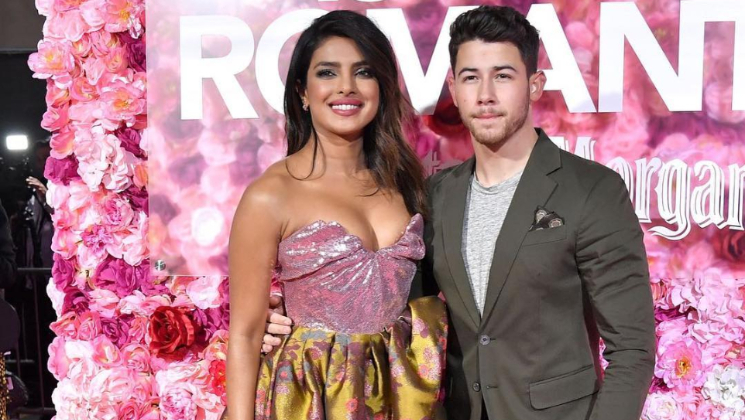 Desi Girl Priyanka Chopra and American singer-songwriter Nick Jonas got married at Umaid Bhawan Palace, Jodhpur in traditional Hindu and Christian ceremonies in December last year. Since then, the couple has been giving fans major couple goals. However, ever since the duo got married, Nickyanka’s fans have been waiting for them to start a family. Recently, at the world premiere of her film ‘Isn’t It Romantic’, PeeCee opened up about the same. While talking to media, the beautiful diva said, “We both know that that’s something that needs to happen, but it’s not something I think about very much. We’re both very driven, we love our work, we’re married to our work, and we’re both very supportive of each other’s work. So I’m sure it will happen in an organic way.” “We definitely want kids, and when the time is right, it will happen,” Priyanka added. Apart from this, at the world premiere which took place in Los Angeles, California, the lovebirds walked in hand-in-hand and were even seen sharing a kiss on the red carpet. The duo’s cute photos and adorable videos from the event have already taken over the internet. Check out some of them below. On the work front, Priyanka will soon make her Bollywood comeback with Shonali Bose’s upcoming biographical drama ‘The Sky Is Pink’. The movie is based on the life of motivational speaker Aisha Chaudhary and also stars Farhan Akhtar, Zaira Wasim and Rohit Saraf in the lead roles.